Measuring the impact of each marketing campaign is at the top of every marketing leader’s to-do list. Smart marketers understand the need to prove that resources expended are creating a financial return for their organizations. 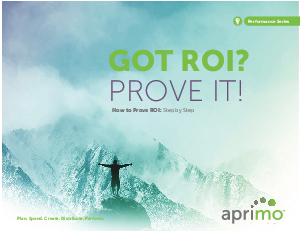 Unfortunately, measuring ROI is also at the top of every marketing leader’s biggest challenges list as well. In fact, only 21% of marketers say they are successful at measuring their marketing ROI.